blog home Premises Liability Elevator Accidents – Covered by Workman’s Comp? Thousands of people in Massachusetts ride elevators during their workday, never thinking they could be injured or killed. Everyone, from construction workers to office workers, enters the elevator car assuming that it will be an uneventful ride. But all mechanical devices can fail. And if an elevator fails or malfunctions, there is a good chance that the occupant will be injured. If you are injured while performing your job duties, you may be able to file a claim under workers’ compensation insurance to cover your medical expenses and lost wages. You could also qualify for disability payments if your injuries prohibit you from returning to your job. In some cases, you might also have a right to compensation from the owner of the building, the manufacturer of the elevator, or the company that maintains the elevator. Elevator doors are the most common cause of injuries to passengers. When the sensors in the doors fail, the doors can close on a person. The injuries could be as mild as bruises or as serious as broken bones, head trauma, or limb amputation. Sudden acceleration or deceleration can also cause a variety of injuries to elevator passengers. Sudden acceleration often results in passengers falling or hitting the walls of the elevator car, suffering broken bones and trauma to the head and extremities. A sudden deceleration can also cause passengers to fall, but the more common concern in these situations is compression injuries. The sudden compression force to the knee and ankle joints, as well as the spine, can cause both soft tissue and bone damage. When an elevator stops before or after the floor level, passengers can trip and fall entering or exiting. 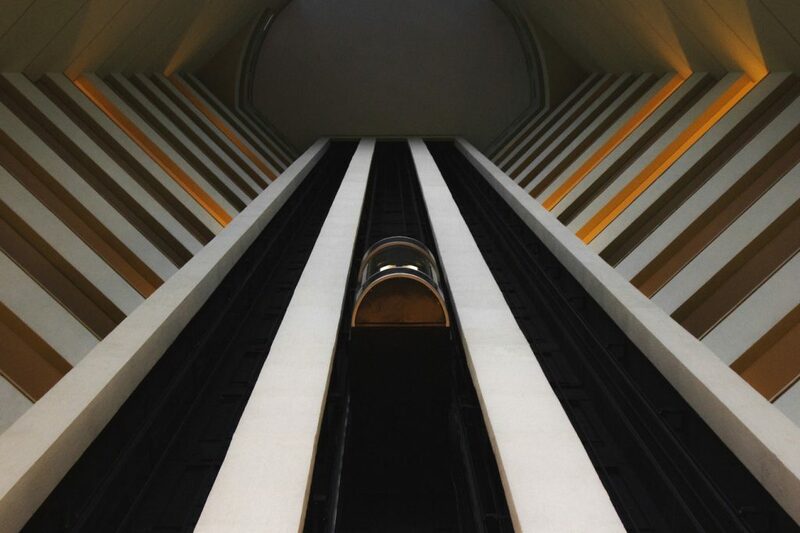 In worst-case scenarios, the passengers on the elevator can fall into the elevator shaft. Finally, a complete system failure can result in the elevator car falling down the elevator shaft. These accidents are almost always fatal. Workers’ compensation is a no-fault insurance provided to all workers in Massachusetts. It is designed to cover the expenses of an employee who is injured while doing his or her job. The employee does not need to prove that the injuries were a result of his employer’s negligence to have his medical bills and lost wages compensated by the system. In addition, if the injuries prohibit the employee from returning to his job, workers’ comp may pay for training for a new vocation, or disability payments if necessary. Can You Get Additional Compensation After an Elevator Accident? In addition to workers’ compensation, some elevator accident victims could be eligible for additional compensation from other parties whose negligence contributed to or caused the accident. The list of possible responsible parties could include the owner of the building, the company that installed the elevator, or the company that serviced the elevator. There could be other parties who were working in the elevator shaft who contributed to the accident, such as electricians, building maintenance crews, or other subcontractors. In addition, if it is determined that there was a flaw in the design or the construction of the elevator, the manufacturer could be held responsible for the accident. Clearly, there is nothing simple or inconsequential about an elevator accident. Even though employees are not required to prove negligence when an injury occurs on the job, the documentation can become complex when filing a workers’ comp claim in Massachusetts. Add in the complexities of possible third-party negligence, and an already-confusing situation can become overwhelming. It is always wise to consult with a Massachusetts elevator accident attorney after these types of incidents. The compassionate team at DiBella Law Offices, P.C., has experience guiding personal injury victims through the legal system to recover compensation. Call (781) 262-3338 to schedule a free consultation to learn more about your rights after being injured at work, as well as other parties who could be responsible for the elevator failure and your injuries.